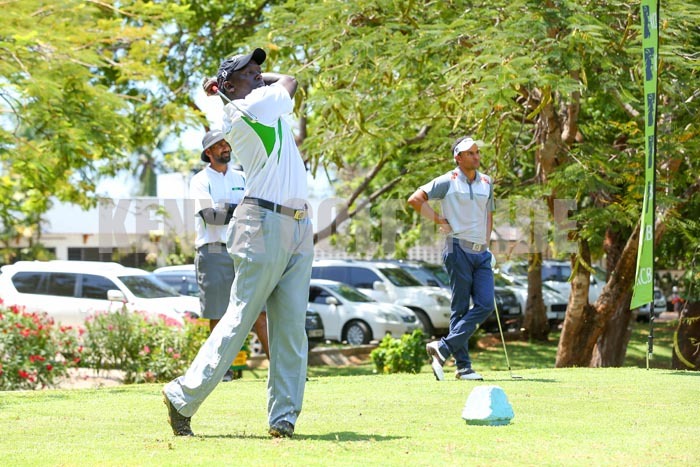 CJ Wangai”s round of four under par 67 steered him to victory in the second round of the KCB Road To The Masters which culminated at the Par 71 Nyali Golf and Country Club. Wangai, who tied for second on day one with 3 over, wrapped up the coast round on a gross total of one under par 141. He made four birdies on holes 1, 5, 8 and 11 and parred the rest. “It’s quite a good feeling to end the coast tour on a high.Thanks to KCB for organizing this event. The essence is stay in good shape in time for the Sunshine Tour Karen Masters,” he added. Greg Snow’s disappointing round of three over today dipped him to second on one over par 143. Third on two over 144 gross was Muthaiga’s Frank Matilo. Matilo shot 3 over par 74 on Friday and 1 under today. Richard Ainley of Nakuru and Nyali resident professional Njuguna Ngugi posted a gross total of three over 145 to finish joint fourth. Eric Ooko of Royal Nairobi Golf Club occupied 10th with rounds of 78 and 70 for a total of six over par 148. This entry was posted on Monday, April 1st, 2019 at 5:23 PM and is filed under Golf News. You can follow any responses to this entry through the RSS 2.0 feed. Both comments and pings are currently closed.